NC General Statute 66-68 requires that "before any person or partnership engages in business in any county in this State under an assumed name or under any designation, name or style other than the real name of the owner or owners thereof, before any limited partnership engaged in business in any county in this State other than under the name set out in the Certificate filed with the Office of the Secretary of State or before a corporation engages in business in any county other than under its corporate name, such person, partnership, limited partnership, or corporation must file in the office of the register of deeds of such county a certificate"
The Register of Deeds Office acts as a recording office only. 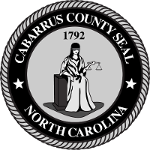 North Carolina General Statutes specifically prohibit the Register of Deeds or the staff from practicing law. We are unable to supply legal forms, provide instructions on drafting or completing forms or answer questions regarding the legal consequences of instruments filed. We advise you to consult an attorney if you have any legal questions. To help those filing a completed assumed name form, the land records vault contains indexes you may search to see if the name you are choosing is already being used. We cannot do the search for you, but staff can show you how to use the appropriate computers/books. You may also want to check with the NC Secretary of State Department in Raleigh to make sure the name is not already in use. Select the form you need, print it out, fill it out and sign it in front of a notary public. You may mail or bring the document to our office for recording. The fee for recording an Assumed Name document is $26. Documents are recorded Monday-Friday, from 8 a.m.- 4:30 p.m.